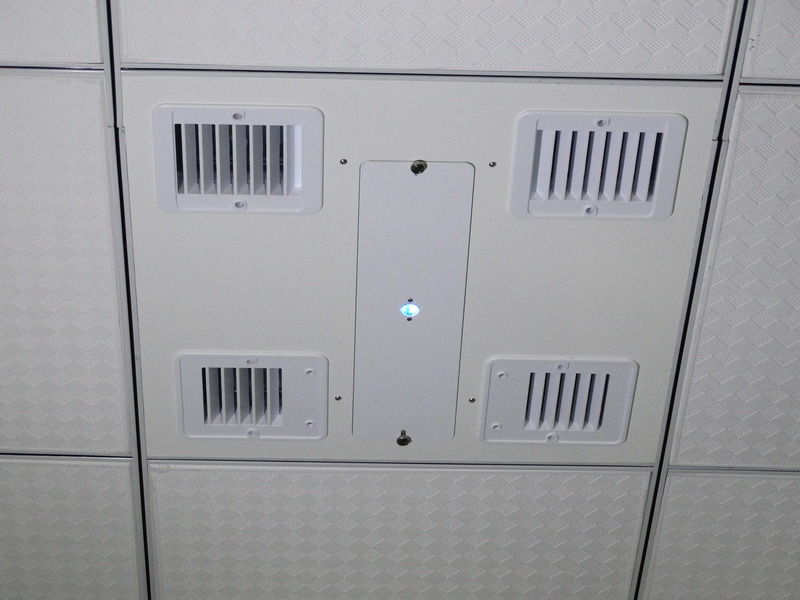 The Purealizer™ is a ceiling mounted germicidal UV troffer which uses our patent-pending design to eliminate volatile organic compounds (VOCs), airborne pathogens and other potentially harmful microorganisms, including mold. The low-profile of the Purealizer™ allows it to operate discreetly, yet work effectively in an environment where mold, allergens, viruses and airborne pathogens could potentially cause harm to children, patients, or even your employees. Completely enclosed, the fixture is designed to fit a typical T-grid 2’ft. x 2’-ft. opening and work 24/7 to disinfect the surrounding air. The Purealizer™ is both unobtrusive and effective, much more than standard UV filter systems. It combines PCO technology with UV, all in a 2’.ft-by 2”-ft troffer designed to be recessed in a drop or solid ceiling. 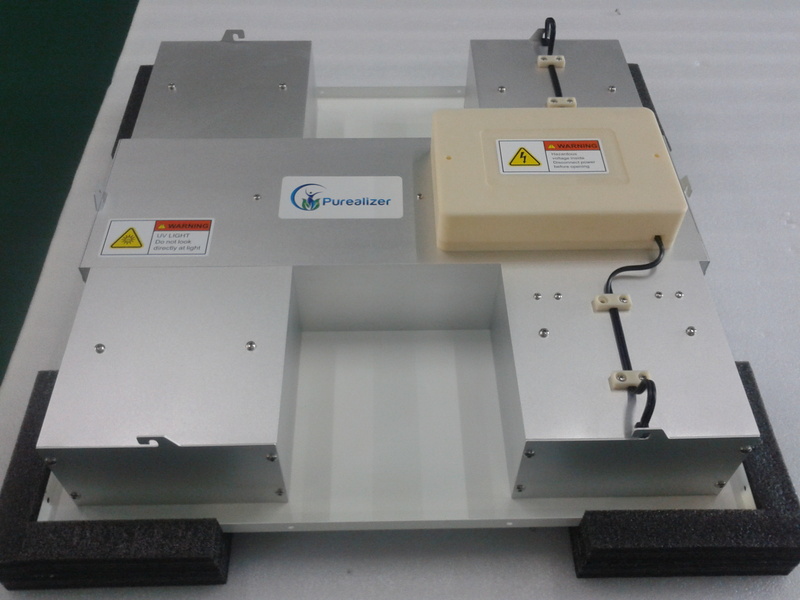 Completely self-contained, the Purealizer™ easily installs and is designed to be wired directly into the power without having to upgrade the existing electric service. The Purealizer™ works continuously, drawing in air from two fan inlets into a reflective irradiation chamber parallel to the UV lamp. 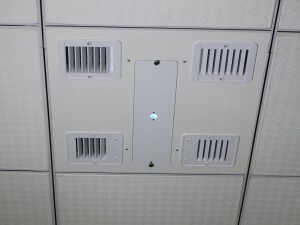 MERV filters capture larger particulates and contaminants before air is passed downward into the reaction chamber where the UV lamp destroys pathogens. Inside the irradiation chamber the photocatalytic oxidation process helps purify air before exiting through two vents on the opposite side of the fixture. The Purealizer™ will effectively destroy chemical containment’s and microorganisms with a kill rate of 99% in areas where mounted.